Before I start with my entries for each color, I wanted to post one of my most favorite colorful pictures in my collection: The boats of Pokhara. After completely half of the Annapurna Trek in Nepal, we came upon lovely, picturesque Pokhara, perhaps the most beautiful towns in all of Nepal. 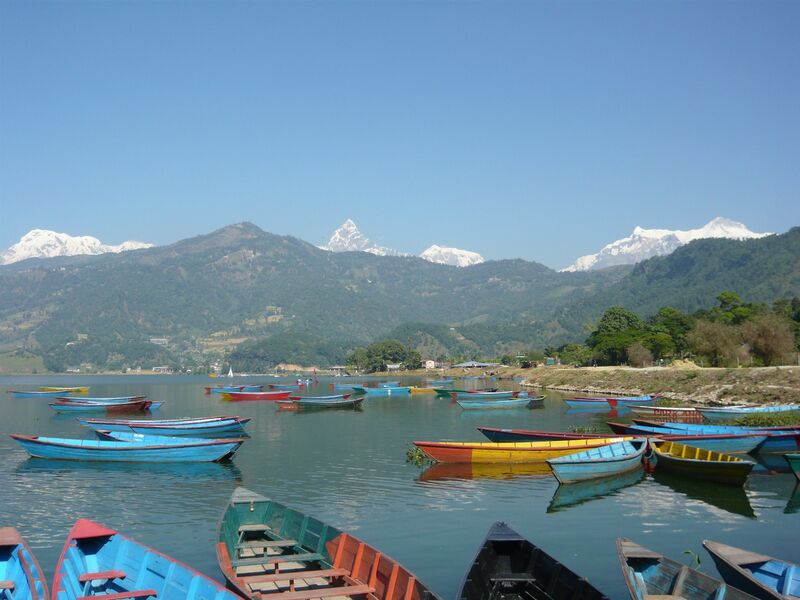 There I saw these brightly colored boats in Pokhara Lake with the nightly Himalayas reflecting off the waters. It took my breath away. I snapped this picture in Manang, Nepal about the half-way point in our journey along the Annapurna Trek. It was the first and only time during the entire trek that it had snowed. The Himalayas were sensational. I love the blueness of the sky contrasted against the snow and of course the brilliant blue of the prayer flags as well. 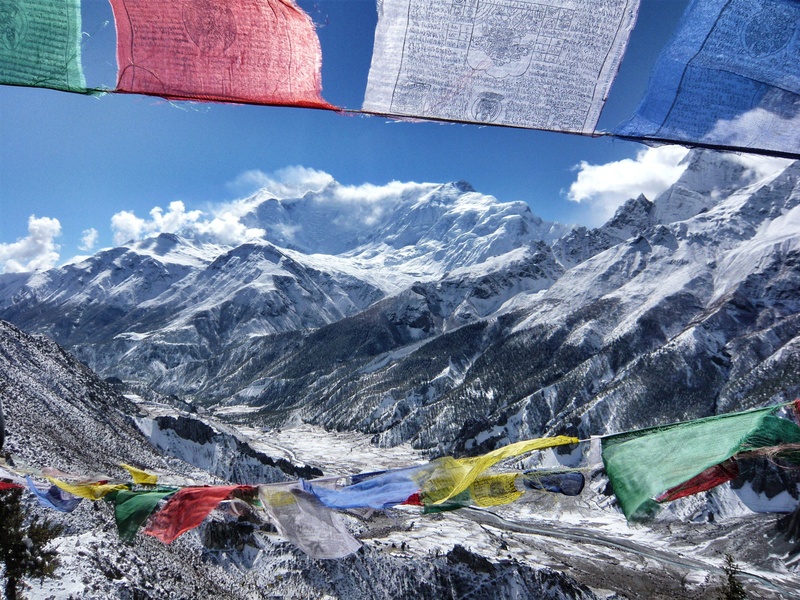 Yes this photo also has other colors in the prayer flags but it is the blueness of the sky and mountains that captured my heart. 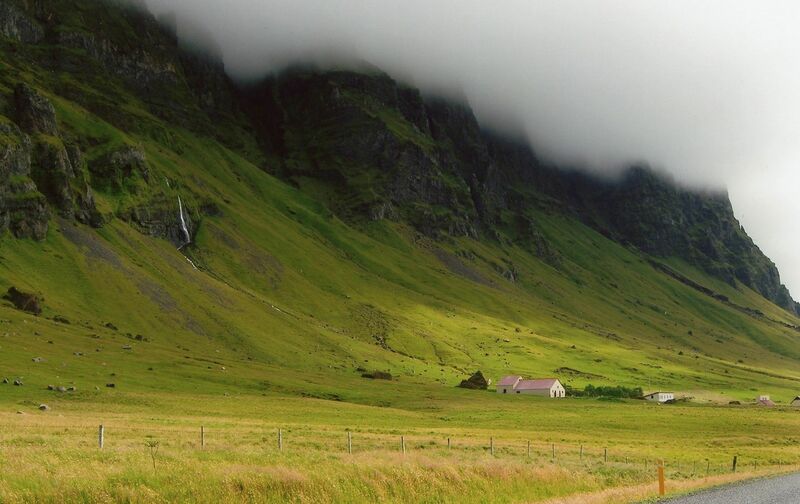 This photo was taken driving southbound along the coast of Iceland. 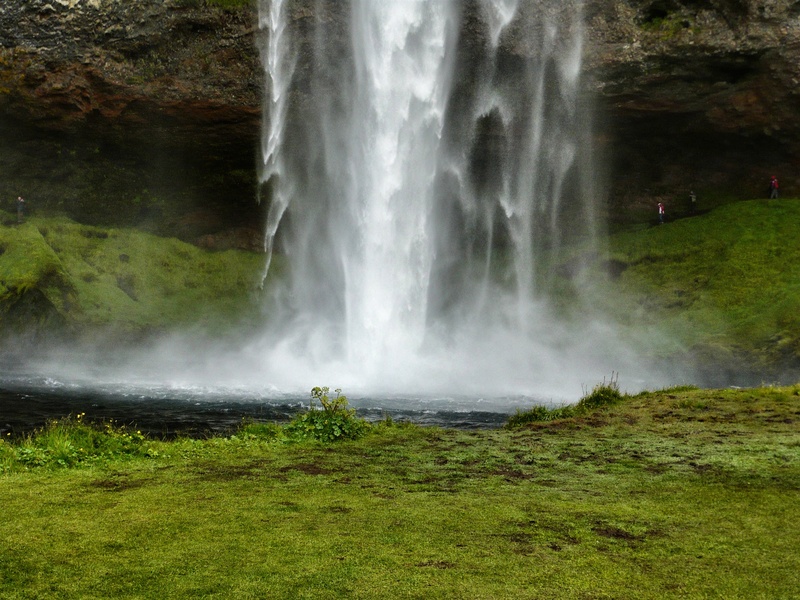 It is nearby the small, magical town of Vik and I was blown away by the incredible greenness of Iceland. The green is so brilliant, so virgin and clear, that it practically hurts your eyes. Plus I was amazed to find that Iceland green comes in many different hues from light-yellowish green to dark emerald. All seen in this picture above of the Icelandic countryside. I had a hard time deciding on which yellow picture to use as I have many from Guatemala that were really interesting. 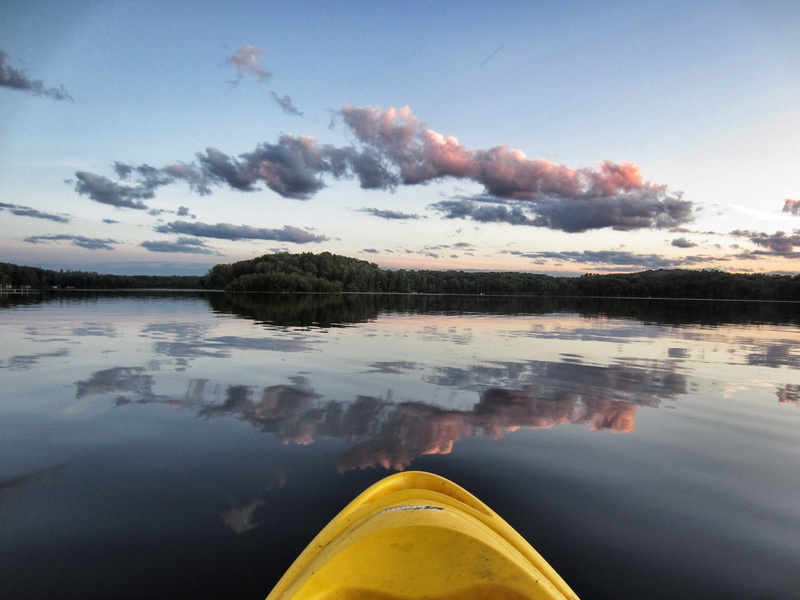 Yet I ended up selecting this photo of me kayaking at sunset along Rabbit Lake, in Northern Minnesota. The sky was a startling display of pinks, reds, oranges and purples while the water sank deeper and deeper blue. A pair of loons swam nearby my kayak delighting me in their melodic call. This photo represents peace, beauty and harmony. The brightness of the yellow kayak representing hope for a brighter day. This photo is among one of my favorites. It is again in Iceland, a place so utterly magical and beautiful, that everything is a photographic moment. White is a difficult color to capture as it sometimes is hard to find beauty in white. I had some photos of fresh, glistening snow but opted for this one of the silvery white water falling off the cliff. The white almost looks like diamonds against the brilliant green grass. In my opinion, this photo is powerful, mesmerizing and magical. You can almost feel the water splashing on your face. This photo was taken in Beijing, China during another typical smoggy November day. I remember being incredibly disappointed in the perpetual smog that diluted and ruined my pictures. However, once I got home and took another look at my photos of China this one stuck out. 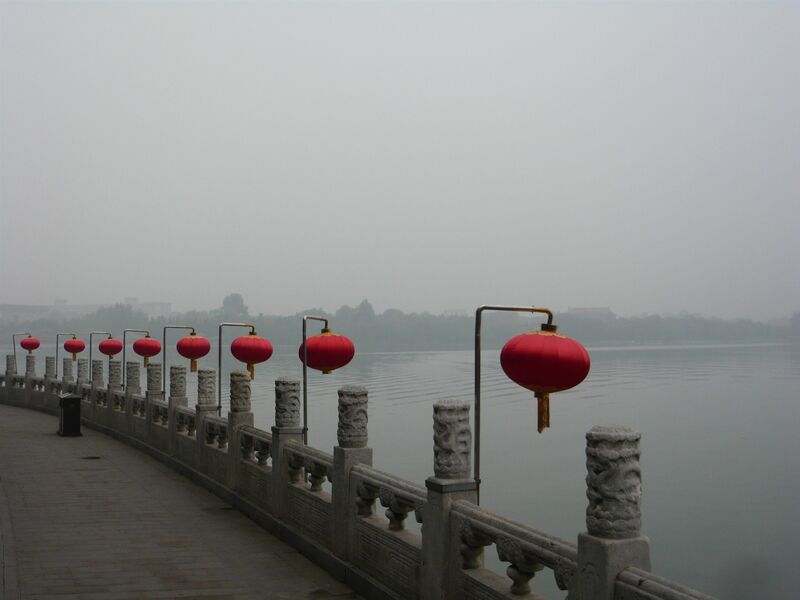 The brilliance of the red lanterns fading away into the smog felt like a metaphor in a sense. Red is the color of China. Is China fading away or emerging as the world leader is anyone’s guess. You have wonderful photos! Great entries….good luck in the contest. These are wonderful!!! Good luck! Thank you! 🙂 Hope I’ve captured the essence of the colors well! Great choices, Nicole. Looks like you enjoyed the contest as much as I did. The kayak and the prayer flags are my favorites. Thanks Heather! I think these are my two favorites as well. I hope your yellow wins….it is stunning beyond words plus the meaning behind it is beautiful too as you were with Jon. Lovely photo choices. I saw the award earlier on Heather’s site. Congrats, my friend. Why thank you Kathy! 🙂 Love your support and continual, everlasting encouragement! These are all great shots but that last one is just brilliant. I love it !!!!!!!!!!!!!!!!!!! Congrats on your award…you deserve it with the images you post. Well Nicole they are up. Unusual probably would be a good word for most of the shots…but then as someone told me yesterday – I look at the world in an unusual way. Thanks! I’m sure you’ve seen my comment that your entry for this contest is STUNNING! Wow! Stunning shots Nicole! The yellow one in particular!. Good luck with the contest. Thanks Madhu! I was about to nominate your lovely blog when I saw that Jennifer Avventura beat me to it! I hope you do the contest as well as I know you would come up with some excellent photos!! Amazing images!! Love the colorful boat one and the bridge/chinese lantern one. Duh!! Ok, now I see…Thank you so much!! I’m in awe, Nicole! Good luck to you! Absolutely fabulous. I can’t wait to get to Nepal. Six glorious, colourful images from across the world, all imbued with your love of the outdoors. Wonderful entries, Nicole – well deserving of consideration in the contest. Many, many thanks dear for your nomination, I’m flattered beyond description. There’s a little overlap though, because I’m trying to put together my entry after being nominated by James at Plus Ultra. Thanks so much! I can’t wait to see your entry!